This collection of essays, which originally appeared as a book in 1962, is virtually the complete works of an editor of Commentary magazine who died, at age 37, in 1955. 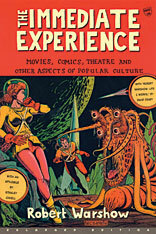 Long before the rise of Cultural Studies as an academic pursuit, in the pages of the best literary magazines of the day, Robert Warshow wrote analyses of the folklore of modern life that were as sensitive and penetrating as the writings of James Agee, George Orwell, and Walter Benjamin. Some of these essays—notably “The Westerner,” “The Gangster as Tragic Hero,” and the pieces on the New Yorker, Mad Magazine, Arthur Miller’s The Crucible, and the Rosenberg letters—are classics, once frequently anthologized but now hard to find. 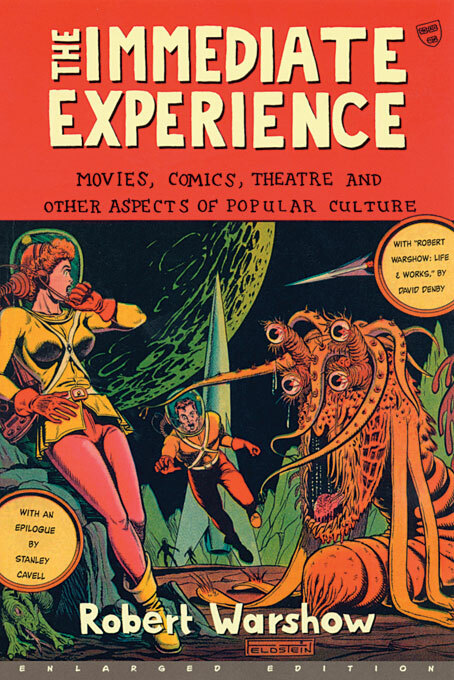 Along with a new epilogue by Stanley Cavell, The Immediate Experience includes several essays not previously published in the book—on Kafka and Hemingway—as well as Warshow’s side of an exchange with Irving Howe.